Last week EA announced they were "on a journey" to regain the trust of PC gamers. Now, the popular thing to do here is just snark at the entire premise. I'm sympathetic to that urge. This is a simple public statement with no action or policy behind it. But I really want this to be true. I know I've spent more than my share of column space complaining about the EA leadership, but it's not because I'm an entitled outrage addict. It's because the engineer in me can't bear the sight of wasted potential. I've always tried to frame my criticism in terms of business strategy. I don't expect EA to give us free stuff out of the kindness of their hearts. I'm fine if they want to "maximize profits", because for that to happen they would need to offer products we can't resist buying at prices we're willing to pay. If they did that, it would be a win for both sides. Trust is a lot like creativity or enthusiasm. It's something very easy to destroy but very hard - bordering on impossible - to create. So my advice is centered less on building trust and more on ways to stop destroying it. There's no easy fix for this, and even a perfectly executed plan will take years to bear fruit. 1. Less Stick, More Carrot. A lot of EA policies have focused more on pushing consumers to do X rather than enticing them to do X. You wanted people to use Origin, but rather than lure them to Origin with deals and features, you just made games Origin exclusives. You wanted more people playing multiplayer, but rather than making great multiplayer and allowing people to choose to play it, you made it so that single-player fans would need to play Mass Effect 3 multiplayer to get the "best" ending of their single player game. Then you took the idea a step further and made SimCity - a fundamentally single-player experience - into an always-online thing. You can get away with this sort of thing once in awhile without angering your customers, but EA strategy seems to begin and end with, "How can we take things away from people when they don't do what we want?" Taken as a whole, it makes it look like you have no idea how to motivate your customers. You've only got one tool in your toolbox, and it's a club. If your product is good, people will play it. If it isn't good, coercing them to play something they don't want to play - or in a way they don't want to play it - is bad for both of you. 2. Your public relations is about two decades out of date. The conventional wisdom is to spin a story to deflect bad press. If your company headquarters is on fire, you send a spokesperson out to say, "While it's true that our offices are hotter usual, our operations are continuing as normal and we remain committed to bringing the world the best products." That's good for reassuring shareholders so they don't dump your stock, but it's really irritating to the customers standing in front of the burning building. SimCity wasn't a single mistake. It was a long chain of misguided decisions that compounded the problem as they went. In the old days you could fire off an announcement to blunt incoming bad press by downplaying the bad news, but in a world of instant information access and instant audience response, this Baghdad Bob approach to public relations does more harm than good. Videogame culture is tapped into the internet in ways that few other groups are. There's an old saying (probably originating with the Watergate scandal) that says, "It's not the crime, it's the cover up that does the damage". The old ways don't work anymore, and EA has been slow to adapt to this. If you're closing a studio because it doesn't make enough money, just say you're closing a studio. Don't close the studio while describing it as an "exciting opportunity" that will make the world a better place. Your audience is too smart. They'll get upset over the studio closing no matter what you do, but insulting their intelligence will do more damage than the initial bad news. Your customers see this sort of doublespeak and perceive it as contempt. 3. Understand that multiplayer and single-player are two totally different markets. Hopefully SimCity taught you this, but I'm worried you're thinking that it all would have turned out just fine if the servers had been stable. Some people really don't want to play online. Some people want to game on the road, and it's easier to take a laptop than a Playstation. Some people simply find the entire process of connecting with others to be annoying or stressful. If you put multiplayer into a single-player game, you're not going to lure them into a multiplayer experience. They'll just skip the game. You lose, they lose, everybody loses. 4. Get In touch with the PC zeitgeist. EA spent a lot of years buying up indie studios, taking control of their IP, and then firing the staff or otherwise ending the production of games that fans loved. EA has overseen the demise of some of the biggest legends in PC gaming: Bullfrog, Westwood, Origin Systems, Mythic. (Partial credit for Maxis, since the original studio has been shut down, but the name itself lives on.) I'd put, "Stop buying and liquidating beloved studios" on this list, but honestly I don't think there are many independent studios left, so that advice doesn't really apply anymore. Instead I'll say that you need to be more in touch with what PC gamers are thinking. You can't fix this until your PC customers are no longer "them", some mysterious other that you can only understand in terms of marketing research. If nothing else, just hire someone with their finger on the pulse of the PC scene and gut-check your PC strategy with them before you do something ludicrous. Does it sound insane to hire someone just so you can ask them how the community will respond? A bit. But it's less insane than what's been going on over the last few years. Example: In 1992 you acquired Origin Systems. In 2004, you closed the studio. I don't actually fault you for this. Studios close sometimes. 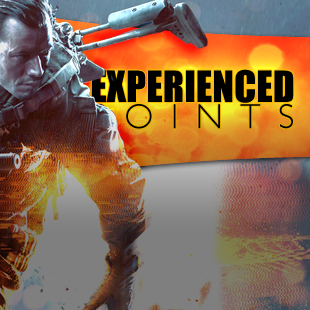 They lived for over a decade as part of the EA brand, and managed to create some amazing products during that time. But in 2011, you named your new digital delivery platform after the now-shuttered studio. This was seen as being in incredibly poor taste by the very people you were trying to draw to the platform. That branding can't be undone, but it could have been avoided in the first place if you'd known how the community would take it. A fan of the Sim City series could have told you the always-online design was dangerous before you greenlit the project. They could have told you the gameplay mechanics were flawed and empty before development ended. They could have told you your messaging was off before the controversy started. What would it be worth to you if you could have spotted those dangers before they appeared? You spent all that money developing a game nobody wanted, that required a massive server farm everyone hated, and that ultimately damaged one of the most enduring brands you own. SimCity wasn't a single mistake. It was a long chain of misguided decisions that compounded the problem as they went. Hiring even one person who knows the hobby and culture could have saved you millions, It won't stop you from making mistakes. All companies make mistakes. But they could have given you the right guidance before those mistakes became public embarrassments, or before you doubled down on a bad bet. Having one person able to give you preemptive guidance will do more than millions spent in remedial marketing. 5. Give old titles another chance. You've got a lot of classic games in your IP collection. I'd suggest you forgo your usual "blockbuster only" mentality and try to revive some of those old games as mid-budget titles. 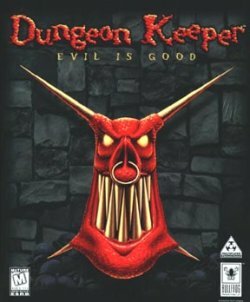 And I don't mean stuff like that ghastly Dungeon Keeper reboot. I mean taking those old games and simply bringing back their gameplay with fresh visuals and some interface modernizations. You've got a lot of great gameplay locked up in your IP, and one of the things angering your customers is that it's all going to waste. I'm not asking you to make these games out of the kindness of your heart. I honestly believe there's money to be made in mid-tier nostalgia market. Heck, Nintendo has built a lot of their company around that idea, and their market cap is higher than yours even after the struggling launch of the Wii U. These guys are onto something. More importantly, those past studio closures would sting less for PC gamers if the games themselves lived on. I know it's annoying when fans engage in overblown hyperbole that paints you as the devil for making simple, practical financial decisions. But if you sift through the memes and the insults you can find a common thread of what your customers want: Games they love, at a reasonable price, with (this is the important one you keep screwing up) minimal hassle. Fix that, and the trust problem will solve itself.